The above is the title of a new book being distributed on behalf of the Charlwood Society. 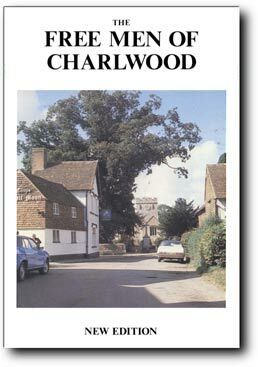 It is a book of 60 pages containing some beautiful photos of many of the listed buildings in Charlwood (and Hookwood) together with some historical village photos and descriptive text giving information on the houses portrayed. 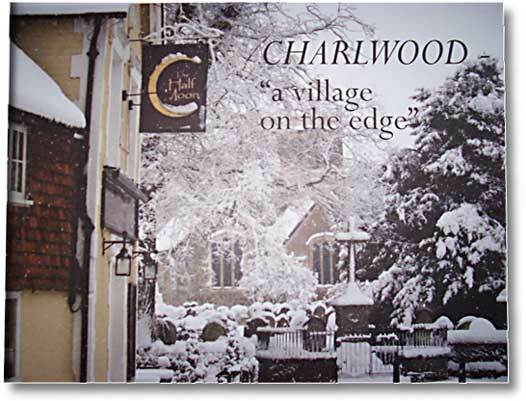 There is also interesting information about the history of Charlwood. The purpose of the book is to show the beauty and special character of the village, especially to those who may wish to threaten its future, and to help our younger members of the community appreciate its history and development over the years. It can be obtained at several outlets including The Half Moon, The Greyhound, The Café at 52 The Street, The Copier Shop, Charles Newsagents and Murray Designs (previously Charlwood Kitchens). It will also be available at St.Nicholas Church on days when services are being held. It can be obtained for a donation of £5 and the proceeds will be shared between The John Bristow Thomas Mason Trust and The Charlwood Society. Maybe a good idea for a stocking filler? I hope you will enjoy reading it! We are currently in the process of scanning historical books of local interest relating to Charlwood. The books below are just the start.... so watch this space! You can view these books by clicking on them, or right click on the link and save to a folder on your computer, you can then search the book for a word or phrase by using Adobe Acrobats search features. 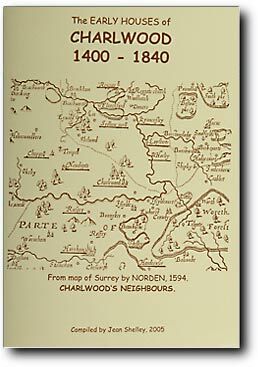 In promoting interest in local history the Society in 1972 had drawn up and printed a Charlwood map showing several of its old houses, the church and the Cage, and the history group set up an exhibition Charlwood – Old and New. Further exhibitions in recent year have been outstanding successes. 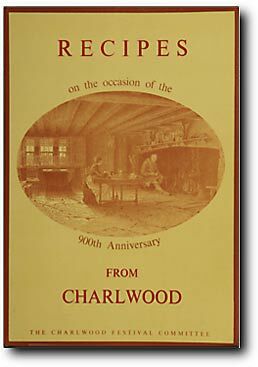 In 1981 the Society published Grandfather’s Charlwood in memory of Lady Farrer, other publications included Lowfield Heath Remembered, Charlwood and Horley Cottage Hospitals, printed with the help of the Society and Walks in Charlwood. The Society promoted and marketed The Free Men of Charlwood and bought 50 copies for itself. The paintings of the murals in Charlwood Church showing how they would have looked originally were purchased by the Society. 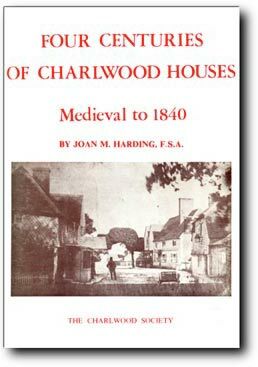 book ‘Four Centuries of Charlwood Houses, medieval to 1840’ and in her author’s note she thanked the Society for sponsoring and guiding the project. In the foreword Eric Mercer of the Royal Commission on Historical Monuments referred to the fact that Charlwood was exceptionally rich in medieval and sub-medieval houses, saying ‘There are indeed so many there that when the Vernacular Architecture Group visited Surrey in 1975 under Miss Harding’s guidance they broke with all precedent and spent a whole day of their very limited time within the boundaries of that one parish’. In the 1980’s the Society sponsored tape recordings of the memories of elderly local inhabitants and planted eight oaks in the village. The Society bought the Wheatley 1880’s photographs of houses in the Parish.